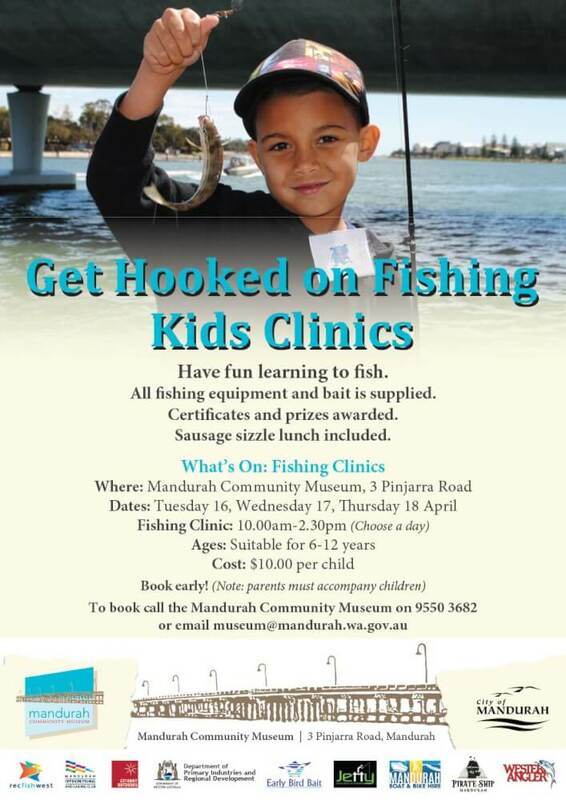 Manduarh Community Museum in partnership with the Mandurah Offshore Fishing and Sailing Club are holding three kids fishing clinics over three days. All gear and bait is provided plus a sausage sizzle lunch. Suitable for ages 6-12yrs. Parents and carers are expected to stay with participants. Cost is $10 per child.